If you were an avid reader at Wccftech, you might have known that we mentioned a new MSI motherboard coming up under the Big Bang series as the Big Bang ZPower. 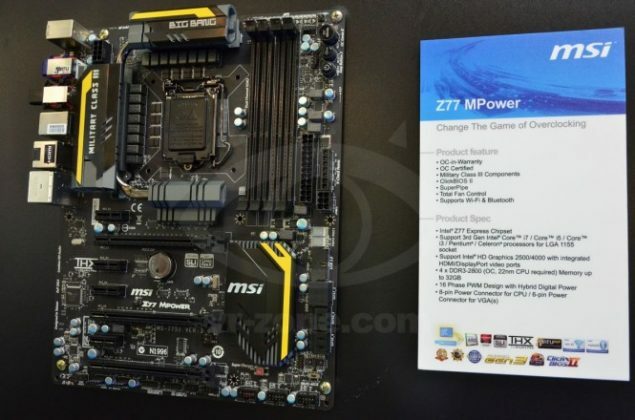 New images have surfaced of the board and its apparently called the Z77 MPower. This will be a new addition to the existing line of MSI Z77 chipset motherboards with also a new X79 MPower motherboard in the works. The board features a 16 Phase Power VRM with an 8 pin PCIe power connector for the CPU. The board has onboard WiFi and a bluetooth module. Display wise there is a DisplayPort out as well as an HDMI out. The board also has an onboard Clear CMOS button along with LED status indicators with motherboard voltage measurement points. 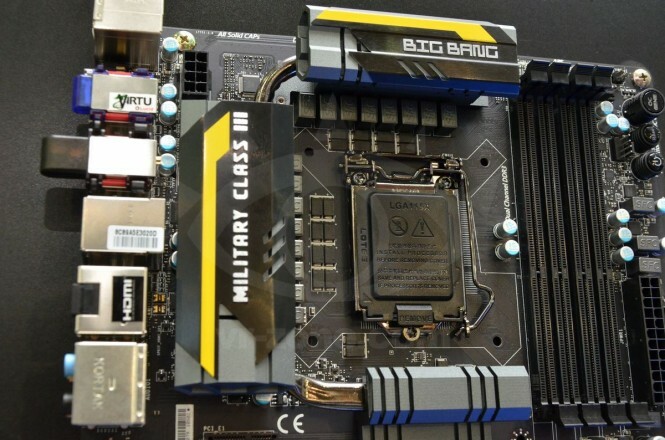 MSI has also inducted a dual BIOS switch on both Z77 and X79 motherboards. We’ll get back to you as we get more info on this.